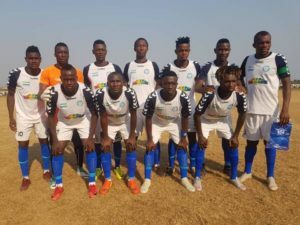 Central Parade and FC Kallon will be seeking their second successive victory in the Sierra Leone Premier League when they host Mighty Blackpool and Anti-Drugs FC today at the Parade ground and Siaka Stevens Stadium in Freetown. The central boys are still fresh from their 2-0 opening league win over Anti-Drugs FC last weekend at the Approved School playing field, and a second successive victory could be best on the plate for them and their skipper, Alfred Nyuma hopes for better result. Mighty Blackpool, on the other hand, after succumbing to their traditional rivals- East End Lions on the league’s opening day-will want to prove they were the unlucky side against the Killers. With hopes of a new club administration, the Tiss Tass boys need nothing but a victory. Coach Abu Sankoh will be hoping to have new faces in his starting line-up, and he would be looking to get back to winning ways. “We will not be playing under any pressure, despite coming on a back of Lions defeat, we are going to the Parade ground with a winning mentality,” Coach Sankoh. 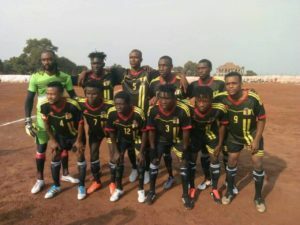 At the Siaka Steven Stadium, the Cavailians will also be searching for their second consecutive win against Anti-Drugs FC squad, who were beaten 2-0 in their last fixture. Ports Authority are the other side that would be looking for a second successive win when they host Bo Rangers, who lost to FC Kallon the same day at the Attouga Mini Stadium in Freetown.